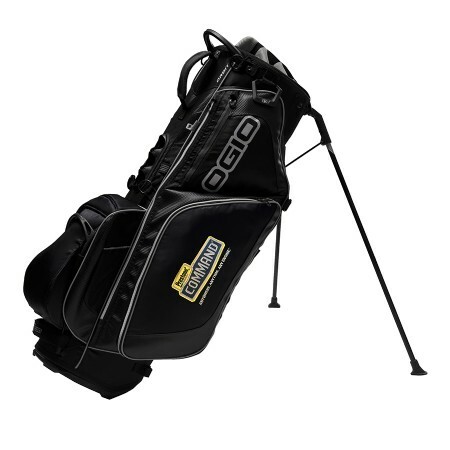 With nothing to weigh it down, this stand bag helps you stay organized on the course. Features a 7-way top and will handle Full-length club dividers. Fleece-lined valuables pocket. 4-point double shoulder strap system. Walking-accessible water bottle holster. Hook and loop glove patch. Padded back for ventilation. Includes your choice of 'Command' or 'Prestone' logo embroidery.